SHANGHAI, CHINA - That Mercedes is setting the pace for the 2014 Formula One season was confirmed by Lewis Hamilton’s brilliant run in Shanghai. 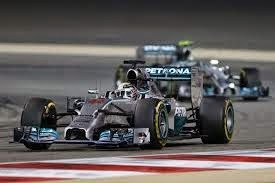 Hamilton, who has moved one ahead of Jim Clark with most poles by a British driver, finished a full 18 seconds ahead of teammate Nico Rosberg. This is the third race this season that the German marque finished 1-2. “This is a team on a roll, that’s for sure,” Hamilton said. “I’m going to be working hard, we’re going to keep working hard because obviously the others are pushing hard to catch us.” Rosberg worked hard for his second place finish starting 4th on the grid then dropping to seventh after a poor start. It was a better weekend for Ferrari achieving its first podium finish in 2014 with Fernando Alonso finishing 3rd. 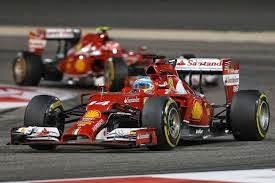 Ferrari appeared to make some good improvements in the car after Bahrain. “It was a good weekend,” said Alonso. “We did improve the car a little bit compared to the first three races, so we felt more competitive and now in the race being here on the podium is some kind of surprise for us, a nice surprise finally. http://www.autoweek.com/article/20140420/f1/140429996#ixzz2zYHFAIJC . Teammate Kimi Raikkonen could manage no better than eight place, 50 seconds behind Alonso. Rumors that the Swede is losing focus and determination were strongly rejected by Raikkonen, though he does admit that his driving is struggling. "In the race I was just too slow, but there is not one big problem that we have found,” he said. Four time World Champion Sebastien Vettel, who last year appeared to be super-human, has struggled with the newly designed v-6 turbo cars. 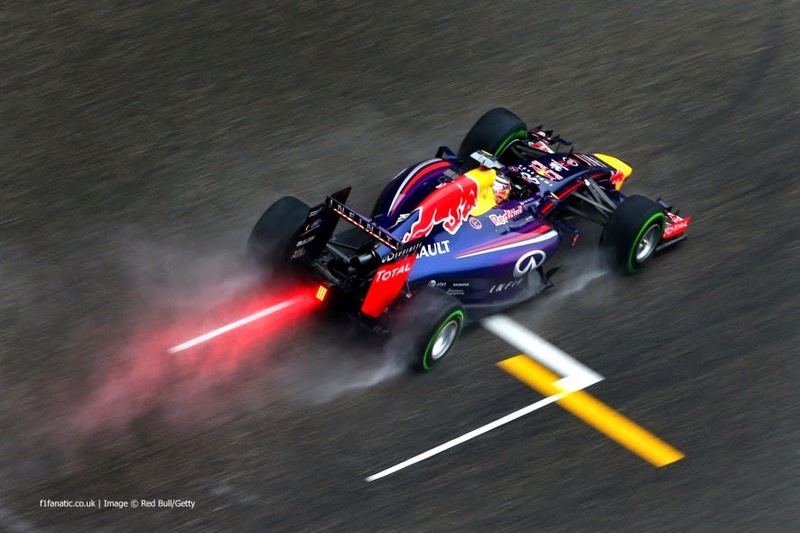 For the second race this year, Vettel has been asked to pull-over for his quicker teammate, Daniel Ricciardo. When first asked by team principal Christian Horner to allow Ricciardo to pass, Vettel was surprised, but after a few laps he understood that he was behind the pace. 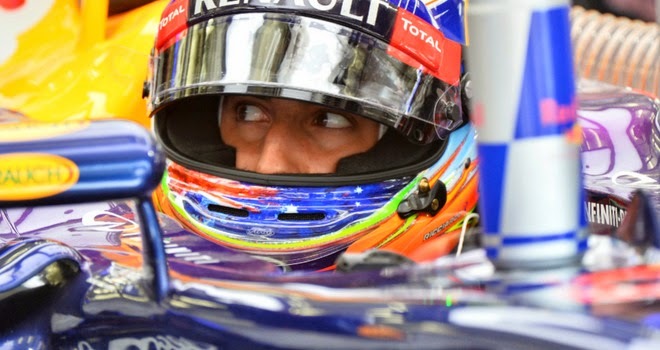 "I'm not yet where I want to be with the car, but it's an ongoing process,” said the champion. 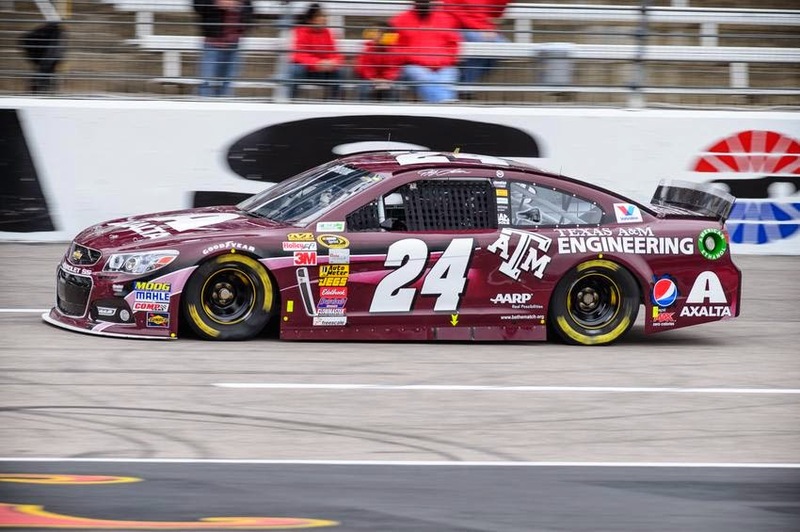 FORT WORTH, TEXAS – The Duck Commander 500 was run at…. 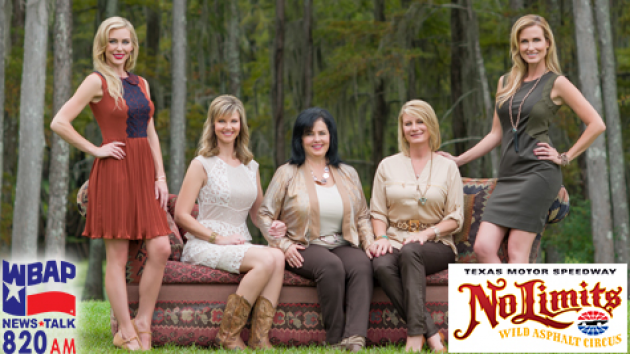 What, Duck Commander? What the heck is that? 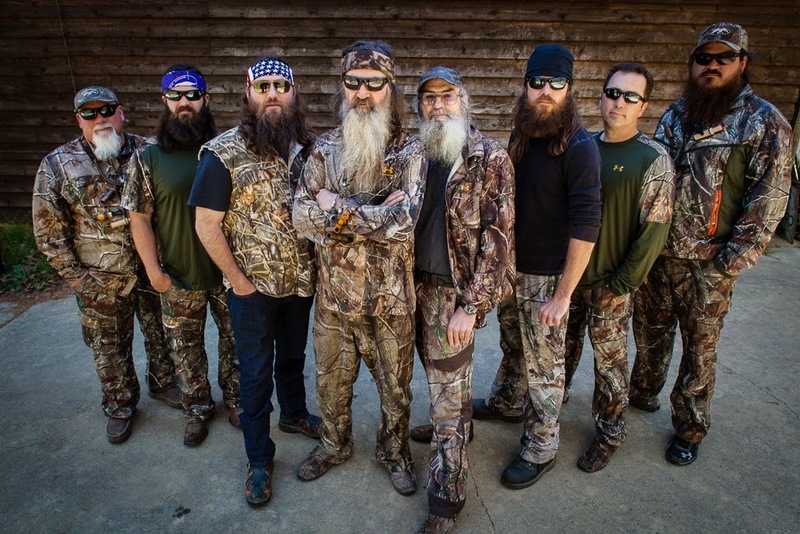 Yep, The Duck Dynasty clan is now the official sponsor of a NASCAR race. Can’t get more redneck than that! I Digress…. Texas Motor Speedway. 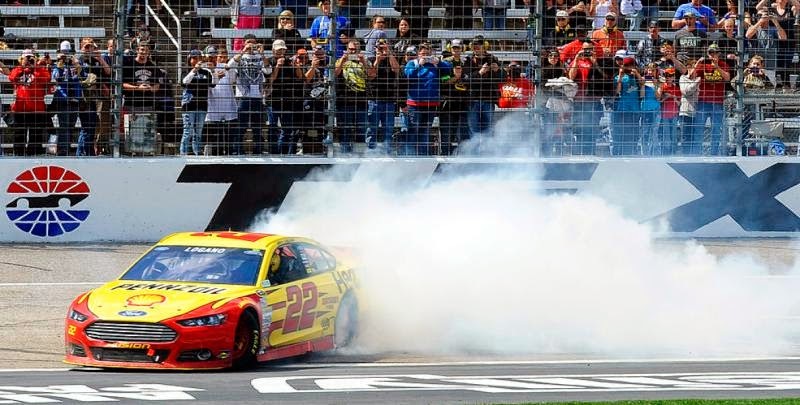 It was a nice run for Joey Logano and the Team Penske who won the race following a strategic pit stop during the final caution period of the race. 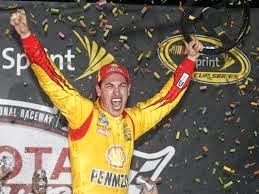 "We've been in contention every race this year to win, and I'm proud to be a part of that," said Logano, who extended a streak that has produced seven different winners in as many Sprint Cup races. "I felt very confident about this race. For some reason, I told Todd, I said, 'We're going to win this week,' and I was mad when we didn't get the pole. 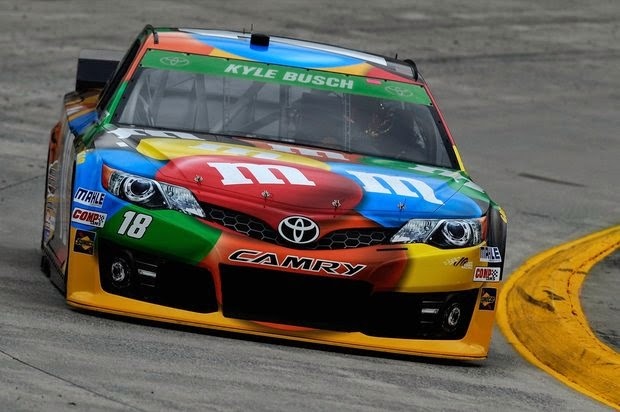 But I felt like we had a car that could win today." 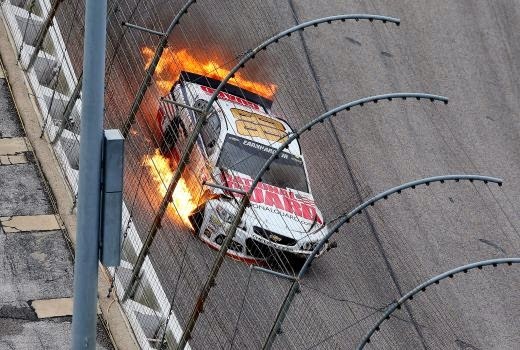 Logano and teammate Keselowski were running 1-2 when Kurt Busch played chicken with the wall in turn 2. 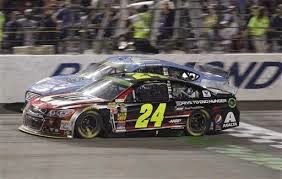 During the caution, the Penske cars chose to change 4 tires while Hendrick driver Jeff Gordon switched only their outside tires. With a green, white checker restart, the quicker pits top got Gordon out in front, from sixth place, but the fresh rubber allowed Logano to run quicker and passing Gordon after two turns. "I got a pretty good restart, so I was happy about that. Got through (Turns) 1 and 2. I was shocked I was leading off of 2, to be honest. I wish I would have run a little bit higher down (Turns) 3 and 4. I'm sure Joey was going to go wherever I didn't. Probably would have been a little bit better off on the top. He crossed over and got into the back of me pretty good. At that point I was just thinking, 'I want to finish.' Looked out my mirror, those guys were racing hard behind me. A great second-place finish for me." Keselowski denied Penske a 1-2 finish earning a penalty for speeding in pit lane dropping him to 15th. 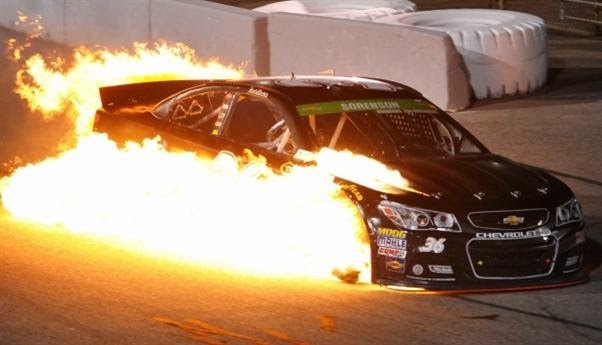 "That last caution was a shame," said Keselowski, driver of the No. 2 Miller Lite Ford. "I was just trying to get a little too much on pit road and wanted to get us out front to be able to win the race and tried a little too hard. We're in it for wins. We're not in it for finishing second." 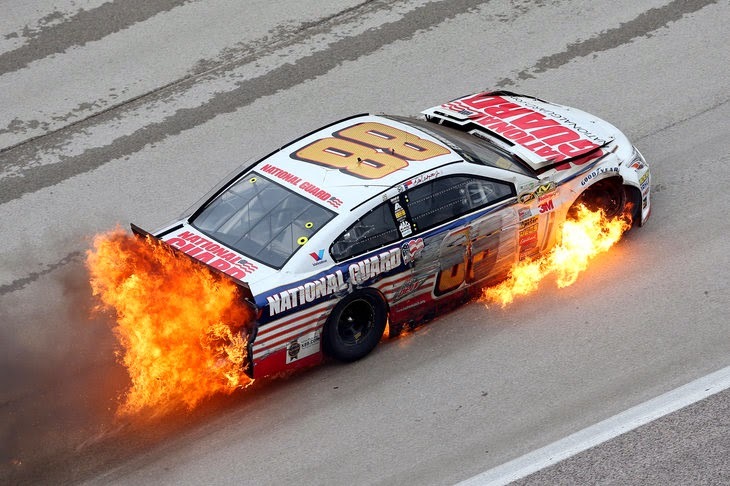 With Dale Jr. crashing on lap 12 dropping him to 43rd, Gordon has climbed to first place in points. Redneck or not, the grid girls are nice!